I have already pitched in some money into the speciality insurance sector with Catlin back in August. Since then I have kept an eye on Catlin, Amlin and Lancashire waiting to dive into this sector again. First and foremost, Lancashire looks like an odd choice. Both Amlin and Catlin are currently yielding around the 6% mark. What is more, both have long-standing records of increasing though yields. 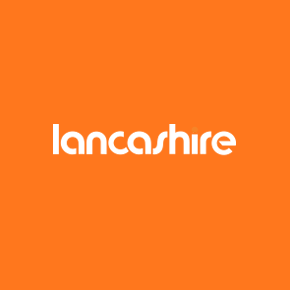 In contrast, Lancashire's main dividends only yield about 1.5% and the cash return has remained static at $0.15 for some time. However, this does not tell the whole story. Lancashire uses the (slightly) unusual model of chiefly returning capital to investors not through ordinary dividends but special ones. The upshot of this is that actual returns from year-to-year can be a little unpredictable but they do tend to be higher than those of Amlin and Catlin. For example, there is currently a prediction of a dividend of 58.8p for the coming year and 59.3p per share the year after. This would, on my purchase price, yield a very healthy 8.86% and 8.94%. This is a hefty yield in anyone's book. Yield's this high are usually a warning sign for investors. However, with Lancashire this is not the case. Most years the yield is lower and the rest of the cash is used in expanding the business. However, when the business available is not deemed high quality or high yield enough they return money to investors. This has two good points to it: (1) Shows the company and their underwriters have a disciplined attitude to the risk/return balance. This is of high importance in specialist insurers like Lancashire. (2) Shows the company has a generous attitude towards shareholder remuneration. The other numbers for the company looks very good as well. It has a book value around £920 million and yet has a market cap of only around £1.25 billion. This means that the premium paid to book value is a fairly low 35%. Although, it should be added that other specialist insurers are similarly valued (Catlin is below book value and Amlin about the same premium). However, also like the other speciality insurers it has a low debt to equity ratio of 0.23. This is very good. I am a bit of a fan of speciality insurers. They tend to pay very generous and comparatively regular dividends and seem to fluctuate less widely than more recognisable life, car etc. insurers. They also tend to be smaller and more tightly managed. Of course, small size can be a disadvantage. However, I think in the reinsurance market small is relatively good as it means that underwriting discipline is easier to maintain. Lancashire will hopefully contribute a lot to my portfolio. Looking at my targets for the year it already helps a great deal. With a target of a volatility of a beta below 0.85 the super-low 0.2872 value of Lancashire will help this no end. Clearly, if a high yield like that predicted with the special dividend above does come into existence. My aim of getting £250 or more (only recently revised upwards) will be very achievable (indeed, maybe even adjusted again). The Q3 results for Lancashire are due soon. Analysts are expecting a special dividend to be declared then. This will be paid before the end of the year. On a slightly less ideal vein, Lancashire pushes my exposure to the financial sector even higher. At the moment this still does not worry me too highly. Hopefully over time, this will be reduced because most of my present purchases are from outside the financial sector. However, as it stands, it dominates my portfolio.